I hope you've had a wonderful Thanksgiving! I found myself considering just how blessed I am, even in the midst of the storm. Today I'd like to share a guest post with ideas for decorating cupcakes. Some are for spring holidays, but there's nothing wrong with thinking ahead! look extra fancy, whatever the occasion. crystals, white chocolate and small round sweets. 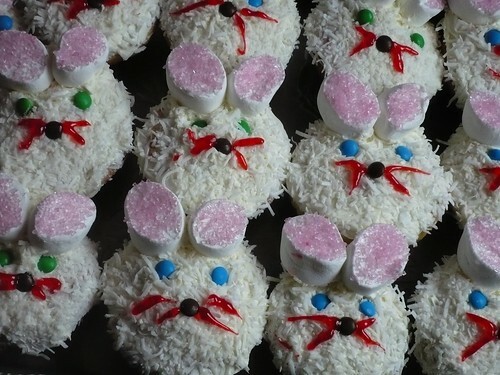 From the nose, use some red icing to create little whiskers on either side. colours, so you can choose flowers that match your colour scheme! case the cupcake sits in. each cupcake being special and unique. gel (suitable for eating), and mini edible heart decorations. the cupcake and ending in the middle. have added a wonderful edge to the icing making it look very fancy. You then scatter numerous heart decorations across the icing, as you like. cupcake making kits and decorations in the supermarket. afternoon tea appointment, or an elegant tea party. mean you get to keep them and use them again. cupcake and set the tea set on top. can be used at a children’s party. 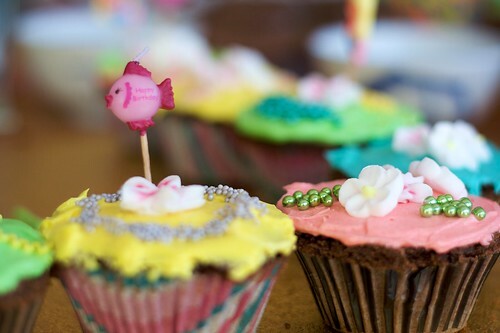 Above are just five ideas for fancy cupcake decorations, but the sky is the limit! Oh goodness I love cupcakes and fancy ones are the best! What fun ideas! !